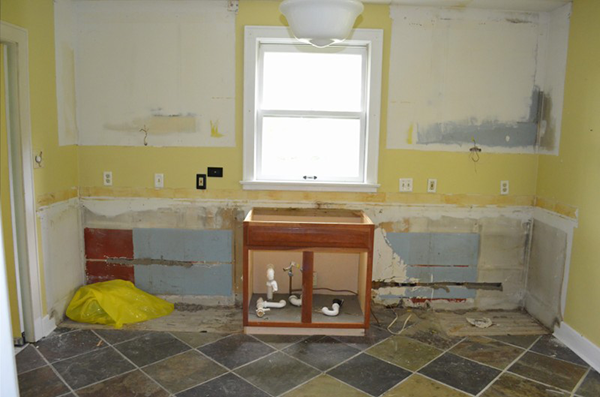 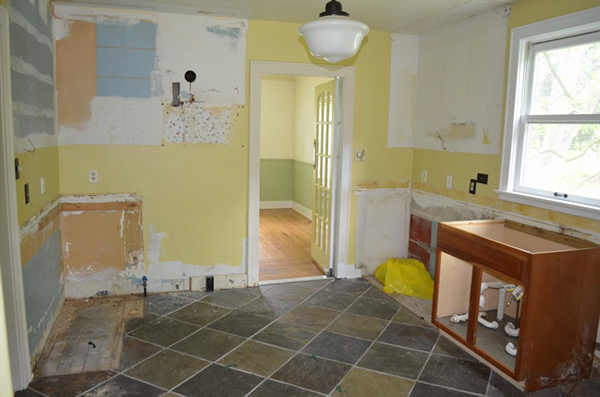 When we found this house, one of the the rooms that had the most potential was the kitchen. 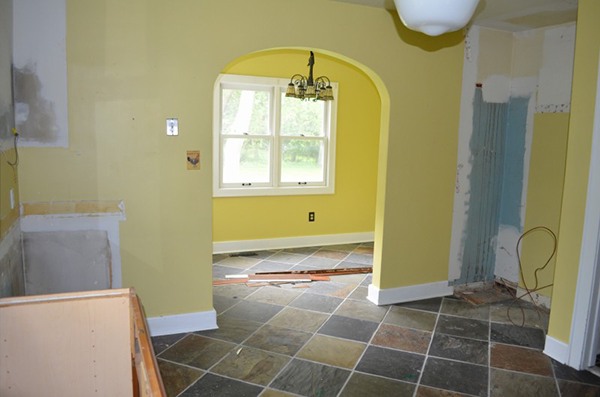 Although it isn’t the largest kitchen, but it did have a really great attached space, which we call the “breakfast room” and with a little help, the entire space could be made much more functional. 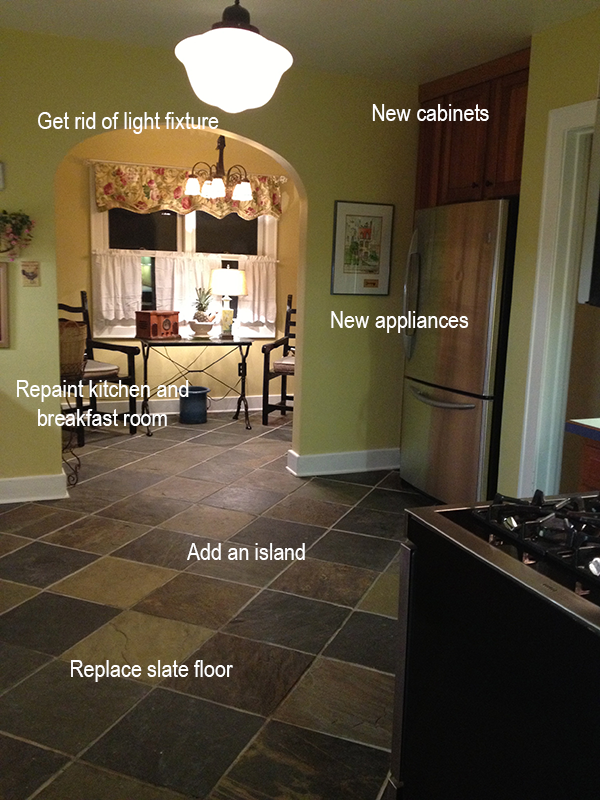 In the photo above (which was taken on my first ever walk through of the house), I cited the big, visible things that needed to be updated but what you can’t see is that new windows were needed in both the kitchen and breakfast room (where, by the way, one was higher than the other) and there was quite a bit of electrical work to be done. 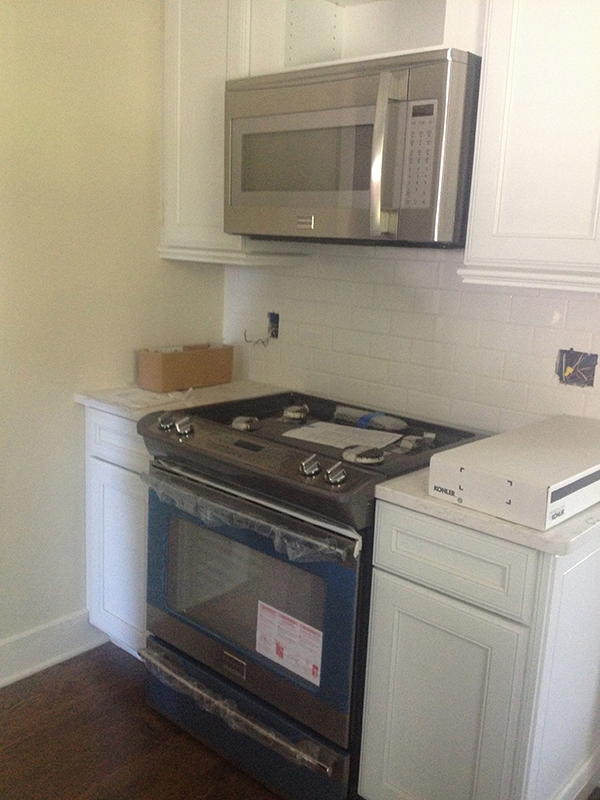 Scroll down for some in-progress photos and check back next week for a look at the finished room.